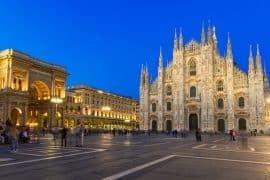 Naples is less visited and touristy than other major Italian cities such as Rome, Florence or Venice, it is a place where pizza, coffee, the Vesuvius and Maradona are worshipped. Some refrain from visiting this colorful, sunny and yes, chaotic city, due to its reputation as far as crime goes. 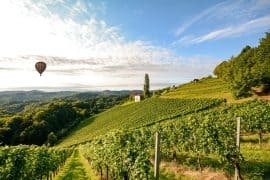 However,you can be assured that as a tourist, you will never need to pass any bad neighborhoods, and this list offers some beautiful areas where you can enjoy a fun time. There is something for everyone, whether you are young or old, or traveling solo or with children. Step out of the major touristy hubs and visit a city that still retains much of its authenticity, traditions and non-touristy menus. This beautiful neighborhood has much to offer for all people. From the main central station in Piazza Garibaldi, it is easy to reach by taking the Line 1 metro (there are only 2 lines, so it is not a complicated system) for only 2 stops to Municipio. 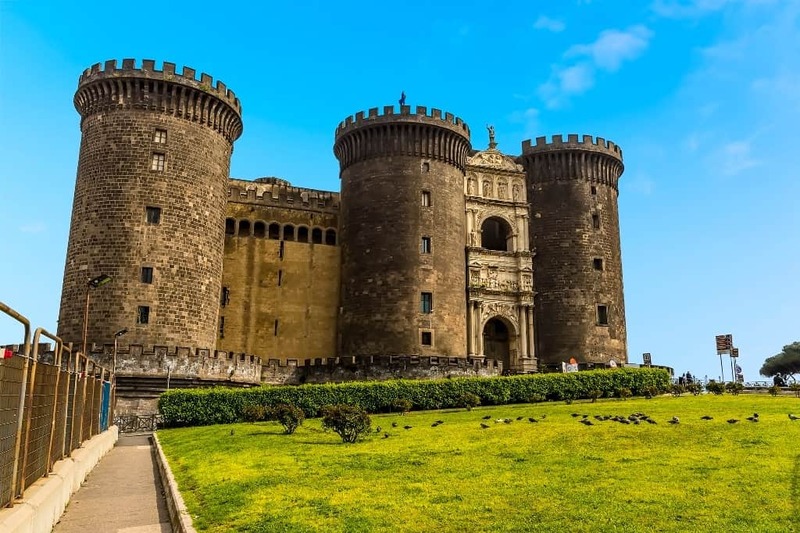 As soon as you exit the metro, you will face a landmark of Napoli, the Maschio Angioino (or Castel Nuovo), a beautiful medieval castle built in 1279. There are many charming B&B’s in this area, as well as big hotels. From the castle, you can stroll down Via Toledo and Via Chiaia, two pedestrian roads full of shopping and amazing street food. These roads are always lively and have street performers on the weekends. 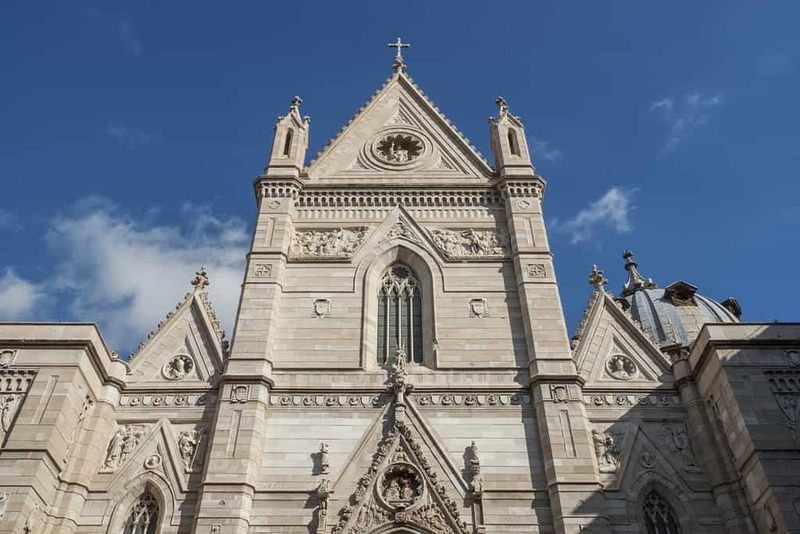 For high-end shopping, head to Via dei Mille. Get a coffee at the famous Gambrinus café’, a historical and extremely luxurious pastry shop. Mennella is a fantastic place for gelato, and you can taste pizza fritta (fried pizza) at Zia Esterina Sorbillo if you don’t mind the line. A hidden gem not so known by tourists, is the galleria Borbonica. An underground quarry from the middle ages, that became a bomb shelter in WWII. You can actually ride a kayak through the old underground wells, rappel down the walls or simply walk through it to travel back in time; it is a very unique tour. Visit the subway stop in Via Toledo, a work of art and considered one of the most beautiful in Europe. 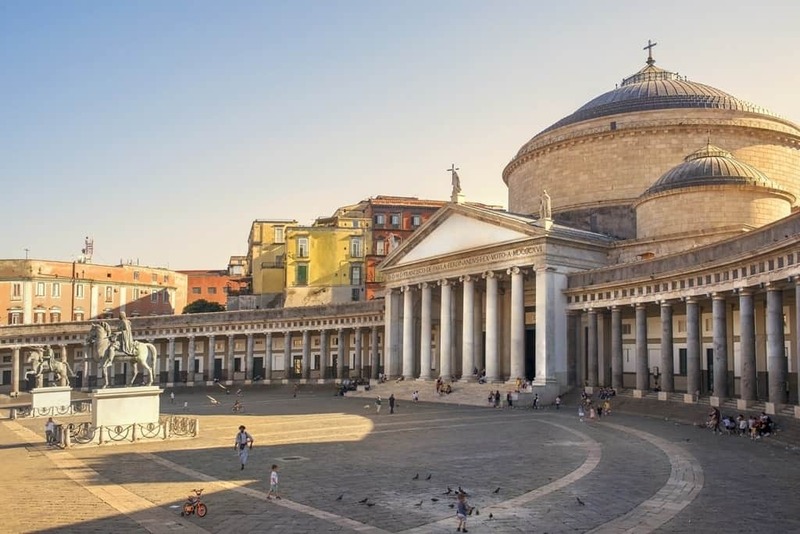 In this area you cannot miss Piazza Plebiscito, the largest square in Naples, which includes a beautiful church and the Royal Palace where the king used to live. It is now a museum that you can tour for 4 euros (free the first Sunday of the month) and it displays an awe-inspiring grand entrance all in marble, a dazzling opera theatre and rooms full of frescos and other art. Catch an opera or ballet at the San Carlo theater, the longest running opera theater in the world. Make sure to dress up! Famigi Bed and Breakfast offers clean rooms with air-conditioning, free Wi-Fi, toiletries and a hairdryer. Click here for more information and to book this hotel. 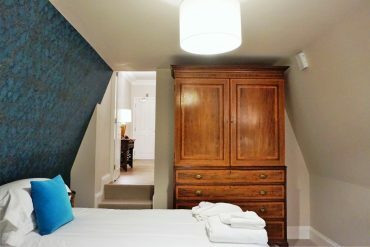 Chiaia House Bed and Breakfast located just 100 m from Piazza del Plebiscito, offers room with air-conditioning, free Wi-Fi and orthopedic mattresses. There is a also a shared kitchen on the property with espresso coffee machine, kettle, and fridge. One of the best things about Napoli is the location. 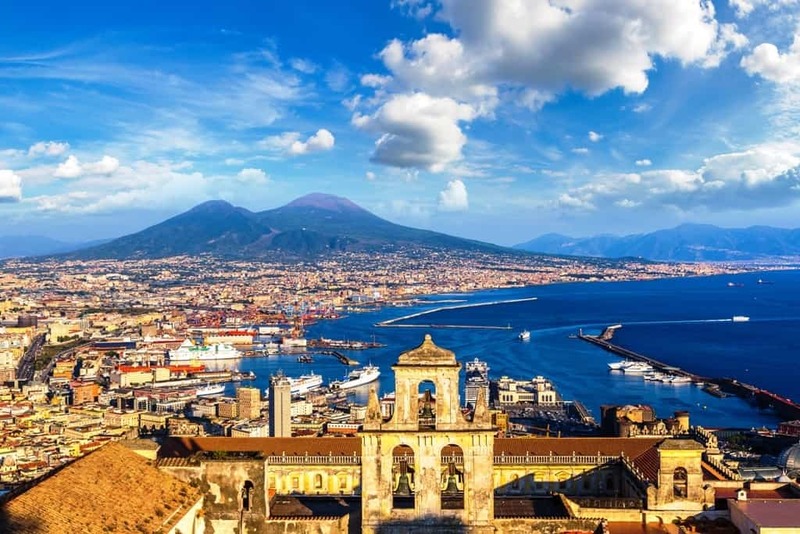 It sits in a gulf, which means when you go to the seaside, you will see the beautiful coastline leading to Sorrento and Amalfi coast topped by the Vesuvius volcano on one side, and another beautiful hilly coast on the other side which leads to Pozzuoli. This area along the water is especially great for families. The boardwalk along the water is closed to cars for a good portion, and families can stroll enjoying the view or renting bicycles, surreys, and Segway’s. This area is also reachable by getting off at the Municipio metro stop, and it is close to the cruise ship port if you are coming on a cruise. 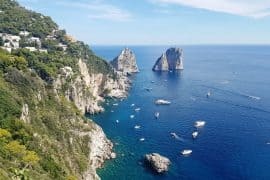 From the port you can also take the ferries to the beautiful islands of Capri, Ischia, Procida and to Sorrento and the Amalfi coast. 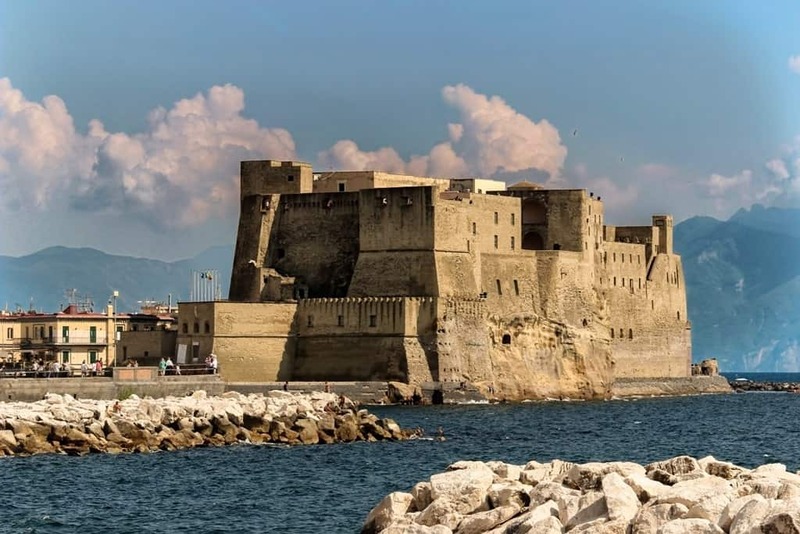 A sight you cannot miss in this area is the Castel dell’Ovo, a castle right IN the water, connected to land by a small bridge. You can climb to the top to get fantastic sea views (it is free!). At the bottom of the castle and behind it, there is a tiny neighborhood with very cute cafes-where you can try the typical Italian Aperitivo drink, the Spritz- and delicious fish restaurants. Keep walking down Via Caracciolo to Mergellina, another lively seaside area which flaunts a small harbor with all the fanciest yachts. Here you must try fantastic pizza at 50 Kalo’( Naples is the birthplace of pizza) and then head to Chalet Ciro for dessert- Neapolitan style donuts fried right in front of your eyes, plain, stuffed or even turned into donut-cones to be filled with gelato. Take the kids here, but secretly go for yourself. MokaSuite Bed and Breakfast is located on the seafront and just 500 m away from the Mergellina Train and Metro Station. It offers air-conditioned rooms with free Wi-Fi, a balcony and a sweet style buffet breakfast. Hotel Metro 900 is located next to the Mergellina Train and Metro Station. The hotel offers modern air- conditioned rooms, with free Wi-Fi and mini bar, a satellite TV, free toiletries, sleepers, a 24-hour reception and buffet style breakfast. This is a great area for young travelers, as it is near the University and full of pubs, small lounges and trendy cafes. It is full of people until the late hours of the night. To reach it, take the line 1 metro and get off at either Dante or Universita’. This area is very historical and full of tiny alleys, the typical old Italian streets with clothes hanging out the windows, where you can stroll back in time. Some famous sights in this area include the Duomo (cathedral) of Napoli, Napoli Sotterranea (an underground channel of caves and alleys that date back to the middle ages- Naples has an entire city underneath its visible streets), the Cristo Velato, a famous statue by Giuseppe Sanmartino, and the Museo Archeologico, Naples’ biggest museum which features fantastic archeological remains from mummies to Pompeii’s artifacts. 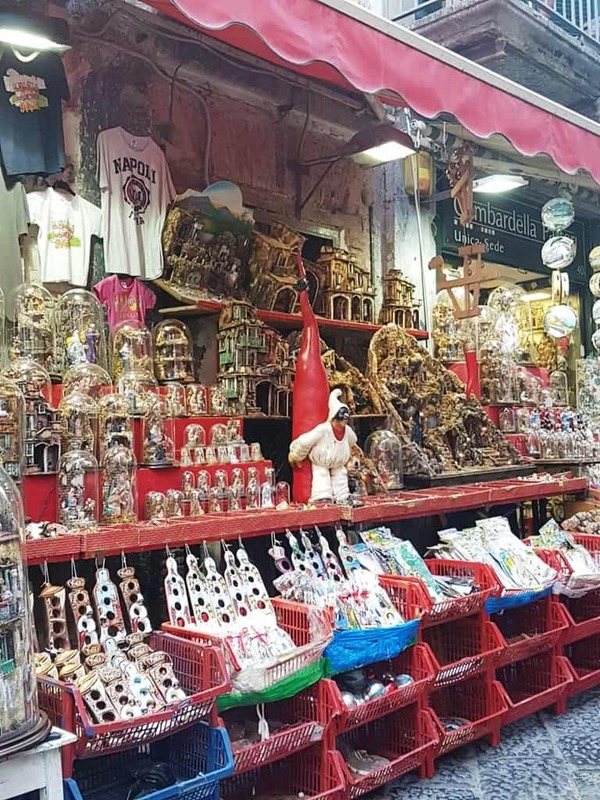 Since Napoli is the capital of nativity scenes, around Christmas time, the San Gregorio Armeno street is packed with thousands of people who come to admire all the beautiful artisans’ shops who put together incredibly intricate models and figurines. Enjoy some limoncello tasting in one of the many little shops in Via dei Tribunali or Spaccanapoli, and try a cuoppo – a handheld paper bag cone filled with fried seafood- a Neapolitan specialty. Hotel Piazza Bellini is located in a 16th-century building in the historic centre of Naples just 300 m away from Dante Metro station. 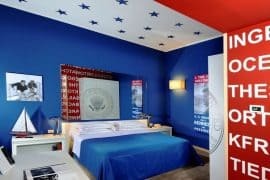 It offers modern rooms with original paintings by local artist Alessandro Cocchia, wooden floors, air-condition, free Wi-Fi, a buffet breakfast and a 24 hour reception. The hotel also has an elegant courtyard where you can relax. 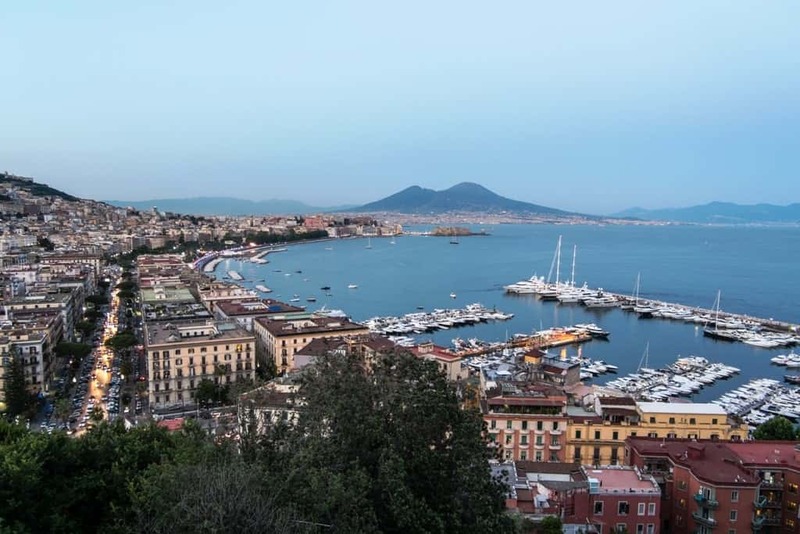 B&B Sleep & Zupp is located in the historical centre of Naples. It offers spacious rooms with free wi-fi, and air-conditioning. Some units also offer a fully equipped kitchenette. B&B La Canzanella is located in the historical centre of Naples.It offers air-conditioned rooms, with free Wi-Fi, coffee machine. electric kettle, a fridge and a flat screen TV. An Italian style buffet breakfast is also served in the property. A nice upscale neighborhood, it is reachable by taking the Line 1 metro to Vanvitelli, or for a more unique experience, by taking the “funicolare”– cable car- up the small mountain from the funicolar ecentrale in Via Toledo. Vomero sits upon a hill, so you can get views of the entire city from it. 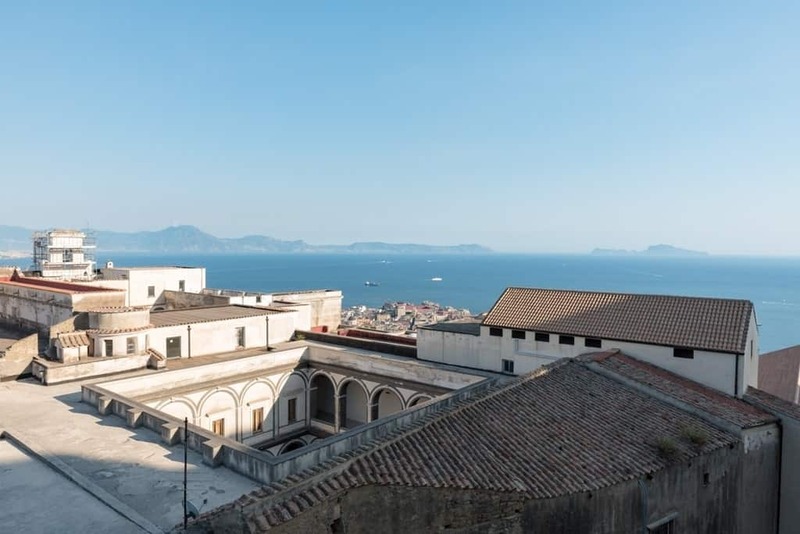 Here we find the 3rd castle in Napoli, Castel Sant’Elmo, built in the 1200’s, which offers stunning views and is very well kept. Try one of the best pizzas in Naples at Gaetano Genovesi (this pizza might convince you to move here forever) and stroll down Via Alessandro Scarlatti, a beautiful tree lined pedestrian road, for shopping and a sfogliatella (typical Neapolitan ricotta-filled pastry) at the Leopoldo bakery. In between the Vomero and the Arenella neighborhoods there is a fantastic market every morning that sells good quality clothing and everything from cheese graters to pillows to porcini mushrooms, at good prices. You will not find this on any tourist guide, but outside of the crowded roads, there is a beautiful residential and historical area where you can go for a little hike and walk down many steps to the Chiaia area (you can take the cable car back up, don’t worry). Along the whole descent, you will have stunning water-views, and it’s quite romantic. You will not see one tourist here and you will definitely get a local feel. The street is called Salita Petraio. B&B Solimena is located just 5-minutes away from the Vanvitelli Metro stop. It offers modern rooms with a balcony, free-Wi-Fi, air-condition, a refrigerator, a TV with satellite channels and free toiletries. Breakfast is served in a cafe nearby and upon request in the room. This a quieter area, good for someone older, families, or anyone who does not want to be right downtown. 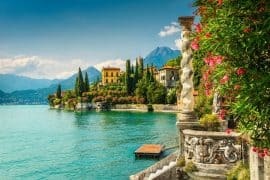 It is reachable by taking the Line 2 from the central station to Mergellina, and then taking the bus 140 up the hill; however, if you are staying here it might be advisable to rent a car. 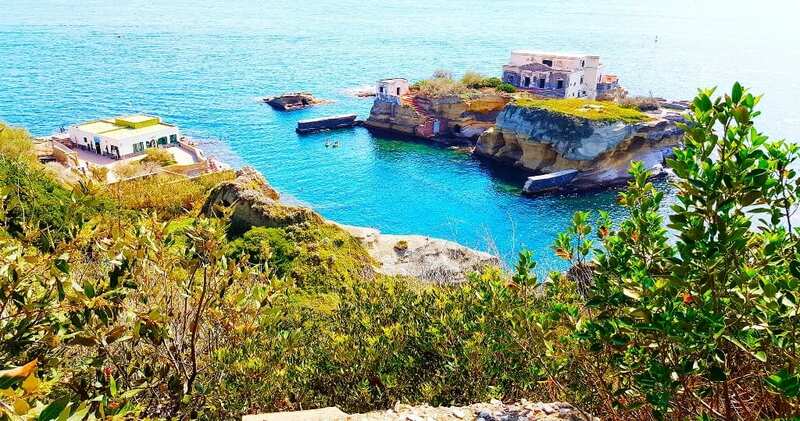 While most of Napoli is quite urban, Posillipo is a green area if you want to be surrounded by more nature. This is a great area to stay in the summer, as it features beautiful rocky beaches such as the one in Marechiaro, and La Gaiola– an underwater archeological protected area where you can snorkel and see ancient Roman ruins at the bottom of the sea. You can rent Kayaks at Baiadelle Rocce Verdi or simply hang out at the beachside pool at the nearby Villa Fattorusso and relax with amazing views of the bay and islands for 15 euros a day. Visit the beautiful palace called Palazzo Donn’Anna, dating back to the 1600’s, and even swim around it from one of the sandy beaches that surround it or get a massage overlooking the sea at the Pausilya Therme spa. Have a picnic at the beautiful Virgiliano park overlooking the island of Nisida and Procida. Gorgeous. Lux Bed and Breakfast offers rooms with a sea view, free Wi-Fi, air-condition, free toiletries and a flat screen TV. Breakfast is also served daily in the property. Casa d’AMare Bed and Breakfast offers modern rooms with free Wi-Fi and toiletries, air-conditioning, and a flat scree TV. Some rooms have a sea view and breakfast is served daily in the property. Where to stay in the Amalfi Coast. Jessica Scipioni was born and raised in Rome and lived in the states for 10 years- where she got homesick and ran back to Italy. She has lived in Napoli for the last couple years and loves to explore and share hidden gems with tourists, so they can have an enjoyable experience. Too many tourists stick to the same exact itinerary, so Jessica likes to find off-the-beaten-path places to help plan their unique trips. Most of her time she dedicates to volunteer work at refugee camps in Napoli. Great post!! I’ll definitely be coming back to this one when planning my trip to Naples! It’s beautiful how every place has such history and I do think the closer to the real cultural areas is where the best places to stay are. And those waters by the sea looks absolutely stunning I can imagine they’d be beautiful to wake up to. Thanks Anna. Naples is a true gem.